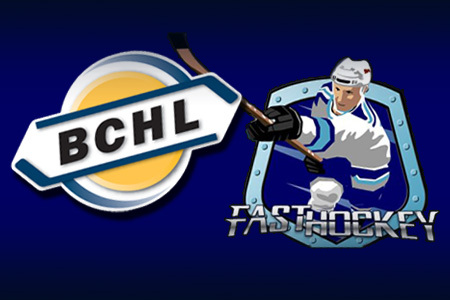 Tune in to Fasthockey to watch tonight's game as the Bulldogs host the Clippers. Two-time BCHL Broadcaster of the Year Award winner - and current holder of the belt - Dan Marshall, of our sister station 106.9 The Wolf in Nanaimo has the call. For those that don't have the means or interest to purchase the pay-per-view, I will post occasional updates here on the blog. Carson Schamerhorn starts in net for the Bulldogs, Emilien Boily for the Clippers. Clippers open the scoring 4:31 into the game on a point shot by Ryan Coghlan that knuckles off traffic and past the glove of Schamerhorn. Charley Borek with the lone assist. Drew Blackmun converts a perfect pass on the rush from Chris Schutz with a deflection through the legs of Boily. Brandon McReynolds also draws an assist at 12:55. Bulldogs take a 2-1 lead when Garrett Halls pokes a rebound home from the crease. Cayden Kraus and Josh Adkins draw the assists 14:15 into the first, on the power play. First period concludes with the Bulldogs leading 2-1. Shots favour the Bulldogs 11-10. At one point earlier in the frame they were 8-1 Nanaimo. The Bulldogs went 1 for 2 on the powerplay, while the Clippers went 0 for 1 - they ended the period with 1:13 left on their second power play of the game. That stat is somewhat misleading, as the Clippers were penalized just 5 seconds into their first power play chance which brought about 1:55 of 4-on-4 hockey, and a 5 second Bulldog advantage at the end of it. Chris Schutz picks up the only minor during an after the whistle skirmish as the Dogs go down a man. On the penalty kill, Corey Renwick went after Eric Margo. Reluctantly, Margo would oblige as the players dropped their gloves. In the ensuing exchange at the benches, Troy Dobbs picked up an additional minor, putting the Dogs down two men for an extended period of over a minute. Bulldogs kill off the 5 on 3. Late in the second penalty a deflected puck appeared destined to roll over the goal line behind Schamerhorn, but Paul Meyer saved a goal by pulling it off the line and clearing it to the corner. Bulldogs kill off both penalties. Immediately afterwards, the Bulldogs are again penalized. Bulldogs again kill it of to preserve the lead. Goalie change for Nanaimo - Austin Roden enters the game. Chris Schutz and Adam Pilotte join Renwick and Margo in the showers as they drop the mitts for a spirited scrap. Repeated after the whistle mini scrums. Feels like the tail end of a playoff series, not a preseason game. The game quietened down considerably, with about 3 or 4 stoppages going by without any shenanigans. After an icing call, Scottie Clark reacted to something behind the play from Mackenzie O'Mahony (beauty name) and they also fight and are subsequently ejected. Very long second period concludes with the score staying 2-1 Bulldogs. Shots that period favoured the Bulldogs 16-12 for a two-period advantage of 27-22. The Bulldogs are 1 for 3 on the power play while the Clippers are 0 for 5. Bulldogs make a goalie change to start the third as Chris Tai replaces Carson Schamerhorn in net. Bulldogs go to their fourth power play of the game with 14:37 left in the third. They then get a two-man advantage of just 23 seconds in duration when the Clippers are caught with too-many-men on the ice but they can't capitalize. They DO capitalize on the 5 on 4 power play when Paul Meyer walks into the slot and takes a nice cross-ice pass that he rips top corner, far-side high past Roden. Troy Dobbs and Jordan Sandhu with the assists, 7:47 into the third. Bulldogs take a 4-1 lead on the power play when Paul Meyer scores his second of the game on an absolute rocket, one-timing one tight under the crossbar. Troy Dobbs and Josh Adkins pick up the assists on the power play goal at 12:59. Bulldogs are now 3 for 6 on the power play by my unofficial count. Clippers make it a two-goal game and a 4-2 score when they capitalize on a Bulldogs icing as Charley Borek bangs home a rebound in front off a Spencer Hewson shot at 17:28. Bulldogs take a 5-2 lead at 18:19 when Will Lavezzorio chases down a loose puck down the left wing and hits the empty net from a sharp angle. Drew Blackmun drew the lone assist. Shots favoured the Bulldogs 13-9 in the third for a game total of 40-31 Bulldogs. I had the Bulldogs at 3 for 6 on the power play and the Clippers at 0 for 5. 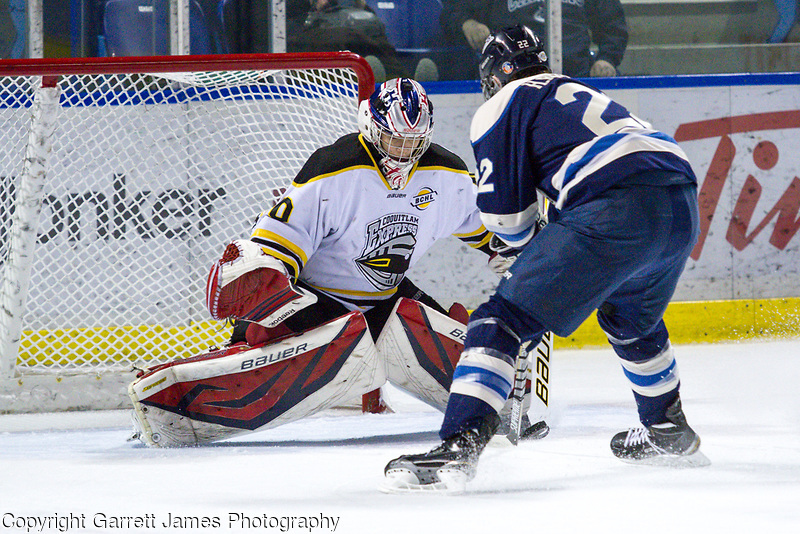 The Bulldogs are next in action Wednesday night when they visit the Cowichan Valley Capitals in Duncan. Check this post throughout the night for periodic game updates. Make sure to REFRESH your browser (F5 key is the short cut) to make sure you are viewing the most current version. Chris Tai starts in net for Alberni..
Jeff Smith starts in net for Powell River. Bulldogs open the scoring late in the first on a goalmouth scramble as Nathan Dingmann pokes one home before Jeff Smith was able to completely smother it. No assists were given on the play but it looked like there might have been a couple players deserving of one. Goal was at 18:18 of the first. Just 44 seconds later Bulldogs go up 2-0 on a bang-bang play on a draw in the Kings end as Brandon McReynolds finds a loose puck and snaps it low through the wickets on Smith. No assists on the play at 19:02 of the first. Shots favour the Bulldogs after 20 minutes 11-8. 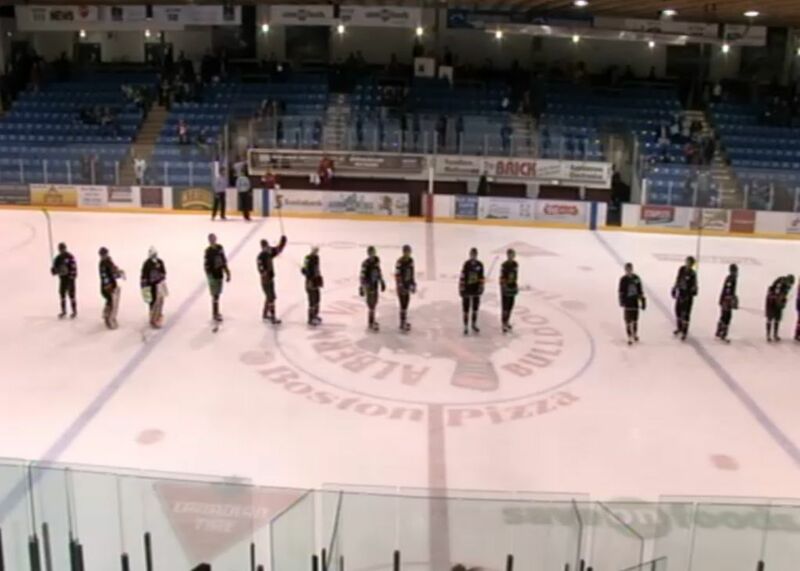 Powell River went 0 for 1 on the power play, while the Bulldogs didn't earn an opportunity. Bulldogs take a 3-0 lead on the power play when Cayden Kraus deflects a Nolan Alward point shot top corner over the glove of Smith. Max Daerendinger also picks up a helper, 8:07 into the second. Kings get on the board shortly afterwards when Chris Protopoulos goes top corner, far-side over the glove of Tai on the rush down the right wing. No assists were given on the play at 9:45 of the second. Score stays 3-1 Bulldogs after two periods. Shots that period favoured the Kings 15-10 for a two period total of 23-21 Powell River. Bulldogs are 1 for 3 on the power play, while the Kings are 0 for 2. Bulldogs make a goalie change to start the third as Carson Schamerhorn replaced Chris Tai in net. Score still 3-1 Bulldogs, with 10:41 left in the third. Schamerhorn just made a fantastic point blank save on Hunter Findlater wide open in the slot to preserve the lead. The Bulldogs go the other way on the rush on a delayed penalty and Nathan Walker rings one off the crossbar and it stays out. 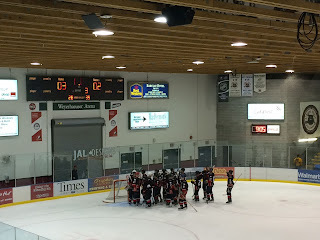 Powell River makes it a 3-2 game with 7:32 to play as Andy Stevens sends Austin Kamer in alone where he makes a nice move delaying to the backhand before tucking it home. Stevens with the only assist at 12:28. The Kings put on a late push over the final minutes of the third, but the Dogs did a pretty good job of not giving up many Grade A scoring chances. Third period shots favoured the Kings 16-7 for a game total of 39-28. The Dogs went 1 for 4 on the power play while the Kings went 0 for 2. Next up for the Dogs is another home game tomorrow (Saturday) night when they host Nanaimo. 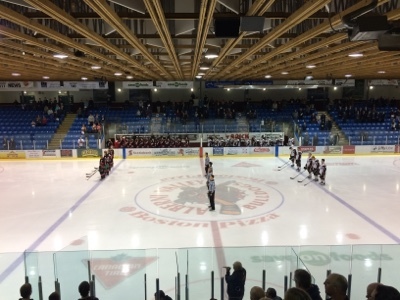 It's only preseason hockey, but it's hockey against another BCHL club as the Bulldogs (0-0-0-0) host the Powell River Kings (1-0-0-0 in preseason) tonight at the Multiplex. It's just another step up in the level of play that new and returning players alike will face. Training camp scrimmages are one level, the intersquad game is another. Exhibition hockey brings yet another step up in the intensity, hostility, pace and physical play. Eventually that goes up another notch with the start of the Regular Season. Both teams might be looking at this game very differently. It's the first Exhibition game for the Dogs - they will host the Clippers tomorrow and play three more next week, in Duncan Wednesday, home to Victoria Friday and in Victoria on Saturday. The Kings meanwhile opened their Exhibition sked last night, picking up a 9-4 win over the Cowichan Valley Capitals at the Lake Cowichan Arena. Tonight's contest is their final preseason game, as they won't see game action against another BCHL club until September 12th and 13th when they host the Nanaimo Clippers to open the Regular Season. I'm sure in a perfect world that the Kings would want to play a couple more exhibition games next week, but it's not a cheap endeavour to hop a ferry and spend a night in a hotel. The fact that they are "mean nothing" games, it's hard to think it's worth the expense. Knowing their Staff like I do, you can be sure they'll have more than a few things planned to get their team game ready next week. The Bulldogs Coaching Staff still have the luxury of a good amount of time to evaluate potential players in a game situation, and might adjust their roster accordingly. The Kings meanwhile might very well be treating this as their final tune up and icing close to their opening night roster. For players dreaming to crack their line up, this might be their final chance to get off the bubble and make that lasting impression, so the Bulldogs will need to be ready to match their urgency. Team White goes up 1-0 on a goal by Brendan McReynolds 15:38 into the first. Assists to Josh Adkins and Garrett Halls. Team Red ties it up immediately afterwards, Logan Savard scoring from Chris Schutz and Tyler Cooper at 16:24. Red takes their first lead of the game 17 seconds later - Chris Schutz, unassisted at 16:41. White answers back - goals coming fast and furiously here - Cayden Kraus from Josh Adkins at 17:21 to make it a 2-2 tie. A fast-paced but low scoring first 15 minutes - and then the proverbial floodgates blew wide open. Four goals in less than two minutes. 2-2 just passed the midway point of the second. Goalie change. Beautiful set up by Marcus Russell as he dishes off to Eric Margo who scores into a wide open net to make it 3-2 Red at 12:35 of the second. Team White answers back with a pretty finish by Cayden Kraus for his second of the night, as he walks in alone down the left wing and goes top corner, short-side bar down. Troy Dobbs with the lone helper at 15:02 of the second. Team White takes the lead at 4-3 as Garrett Halls joins the rush and one-times home a pretty set up by Owen Dalman at 15:50 into the second. Team White leads 4-3 after two periods of play. Somewhat similar to the first period - goals in bunches, and all in the back half of the period. Team White goes up 5-3 just short of the midway point of the third as Drew Blackmun skates in alone and tucks one home with 8:42 gone in the third. Team White goes up 6-3 with Cayden Kraus completing the hat trick with another pretty goal driving the net and going top corner, blocker side. Josh Adkins with the assist at 11:23 of the third. Red gets back within two and makes it 6-4 with 6:13 to go as Chris Schutz one-times one home from Nathan Dingmann. This came just after a diving goal-line glove by Chris Tai on the previous sequence. Team Red makes it a 6-5 game with 2:08 left as Eric Margo gets his second of the night, scoring on a rebound after Chris Tai stopped Marcus Russell on a breakaway. Team White goes up 7-5 with 42.9 seconds to go when Josh Adkins hits the empty net. Another empty netter for Team White makes it 8-5 with 23 seconds to play with Tommy Bodtker scoring. Entertaining, hard fought game. Looking forward to the Exhibition Opener tomorrow when the Bulldogs host Powell River at 7:00pm. Bulldogs Training Camp continues today with a scrimmage between the Black and Gold teams at 6:00pm. I got down the rink for a bit last night and this morning to check out the action. While it was pretty tough to pay attention to the level I would like due to the fact that I had my two year old and five year old in tow with me, I was impressed with the fast pace and the high compete level I saw. There are ice sessions tomorrow morning and a scrimmage tomorrow night as action ramps up to the Red and White Game Thursday night at 6pm. Read below for further details from the Bulldogs on the selection of Eric Margo as Captain and the Red and White game. 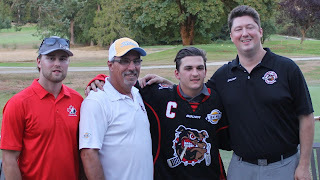 Port Alberni, BC – On Sunday, August 23rd, at the banquet following the 4th annual Bulldogs Season Kick-off golf tournament, the Bulldogs introduced Eric Margo as the captain of the 2015/16 squad. The announcement sparked a standing ovation from the 85+ attendees. Margo is entering his second full season with the Alberni Valley Bulldogs after being signed as a free agent last off-season. Margo, from North Vancouver, BC, isn’t a stranger to leading teams. His past experience includes being the captain of the 2012/13 Vancouver North West Giants in the BC Major Midget League where he posted 51 points in 38 games. That season Margo helped lead his team to a provincial championship and helped his team win the prestigious Mac’s Midget Tournament in Calgary, AB, where he was named to the second all-star team. On the international stage, Margo was the captain of Team Canada’s U20 Roller Hockey team in the summer of 2014, winning a silver medal at the World Championships in Toulouse, France. “I’m excited for this opportunity as it’s an honor to be named captain of the Bulldogs,” said Margo. “We are poised to do great things this year and I can’t wait to get the season started,” added Margo. Main camp opened on Monday, August 24th with daily scrimmages at the Alberni Valley Multiplex from 6:00pm to 8:30pm until Thursday, August 27th. The main camp is open to the public leading up to the annual red and white game on Thursday, August 27th at 6pm where admission is by donation of a non-perishable food item in support of The Bread of Life Centre. The Bread of Life is a local non-profit society that provides meals for approximately 80 guests each day and provides emergency service such as bedding, clothing, and household necessities free to the homeless and those in desperate need. 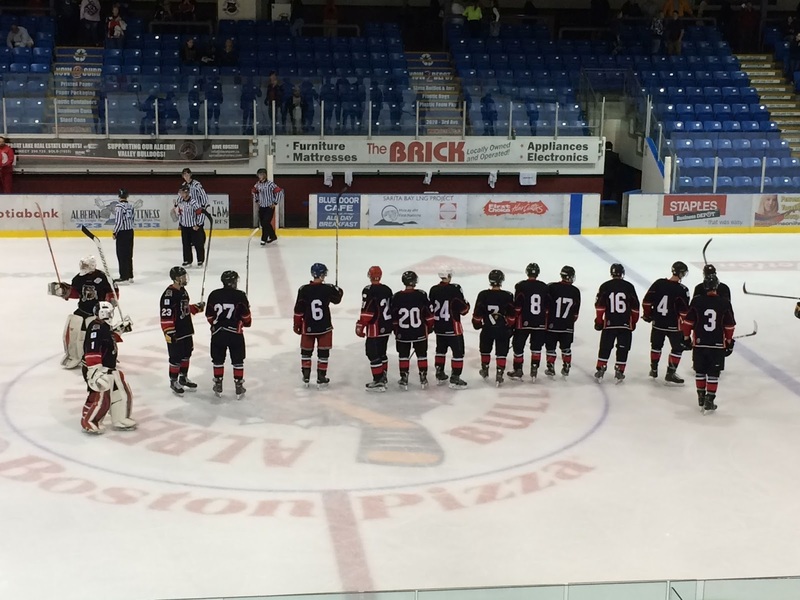 The Alberni Valley Bulldogs are a big supporter of The Bread of Life throughout the year. I certainly very much understand the value of the broadcasts and how we connect parents and families to their sons from around the globe - in fact it's one of my biggest motivations when it comes to putting the hours in day in and day out in regards to the broadcasts! 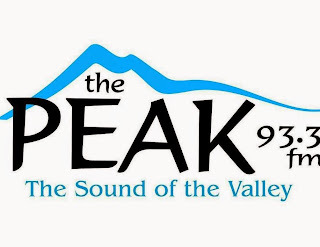 93.3 The Peak does NOT broadcast preseason games. Fear not, as we will be there for every single regular season and subsequent playoff games. There will be NO broadcast of the Friday, August 28th game against Powell River. However, I do plan to post updates here on the blog so be sure to check back. Cowichan Valley Capitals play-by-play voice Jeff Sargeant will provide a broadcast from the game in Duncan on September 2nd. Our lone preseason broadcast will be on Friday, September 4th when the Bulldogs host the Victoria Grizzlies. There is no broadcast planned for the final preseason game on Saturday, September 5th when the Bulldogs are in Victoria to take on the Grizzlies at Westhills Arena. I'm not sure if the Fasthockey infrastructure exists in that building to provide a broadcast as it's not the Grizzlies regular rink. I do plan to travel down to the game to spectate and provide updates here on the blog, provided it doesn't conflict with my duties with the radio station when it comes to our continuing coverage from the Port Alberni Salmon Festival. Please accept my apologies that our pregame coverage isn't more extensive. I'll love to broadcast every game on a volunteer basis but at the same time it's my only opportunities to take my kids to a game as there are no nights off when the real season gets going. I'm quite enjoying soaking up all the family time I can before it's "game on"! What a perfect day in the Alberni Valley today for Golf yesterday. Not too hot, not too cold, but jussssssst right like Baby Bear Porridge! A huge thanks to all the team volunteers and staff that made the Bulldogs 4th Annual Season Kickoff tourney run, along with the Corporate Sponsors (an extra tip of the cap to Will Pulford of Van Isle Ford and Michael Cole of Pacific Chevrolet for sponsoring one of the teams I played on) and last but not least Bruce MacDonald and all the great staff at the Alberni Golf Club for their efforts in putting it all together. Begrudging congrats also go out to Bulldogs Assistant Coach and Goalie Coach Alex Evin for somehow beating me in the Long Drive contest...if there was one guy who I thought might threaten me it was him! Big congrats to my team for being the tournament champs with an HONEST total of 61 or -9. We all contributed whether it was with a timely drive or putt or chip. Well done Nick Gilchrist, Liam Conrad, Taylor Derynck and John Derynck. It looked like we were going to finish at -8 at the very best, and possibly -7 as we were off the green in two shots on our final hole but Liam Conrad went first and chipped it in for a birdie and a pretty crazy ending for our team as we were all expecting to chip and then putt! The golf is over and the fun is now over and it's down to business with training camp getting underway today. Like Bruce said when he spoke - bring your work boots and be committed. Work your butts off and this town will love and support you. They want an honest effort above all else! We'll see you at the rink throughout the week, and on Thursday night for the Red and White Game at 6pm - admission is a non-perishable food item for the Bread of Life, and on Friday night for the first Exhibition game against Powell River! The Bulldogs also host the Nanaimo Clippers on Saturday night. 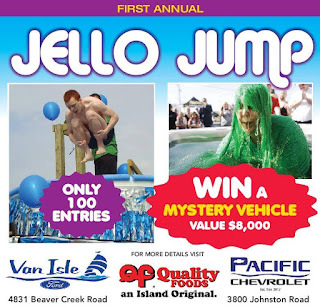 LIVE at Pacific Chevrolet today for the JELLO JUMP! I'm pretty pumped up for this one as it's going to be a spectacle to watch at the very least! I have never watched a Jello Jump before, and while I have provided play-by-play from everything from hockey to sled dog races and everything in between, I can't say that I have ever covered something like this. have been taking entries for the last while to select qualifiers to jump into a pool - or tub, or vat, or tank, I'm not sure - to win a vehicle valued at $8,000. SOMEONE will come out of the pool with the key. 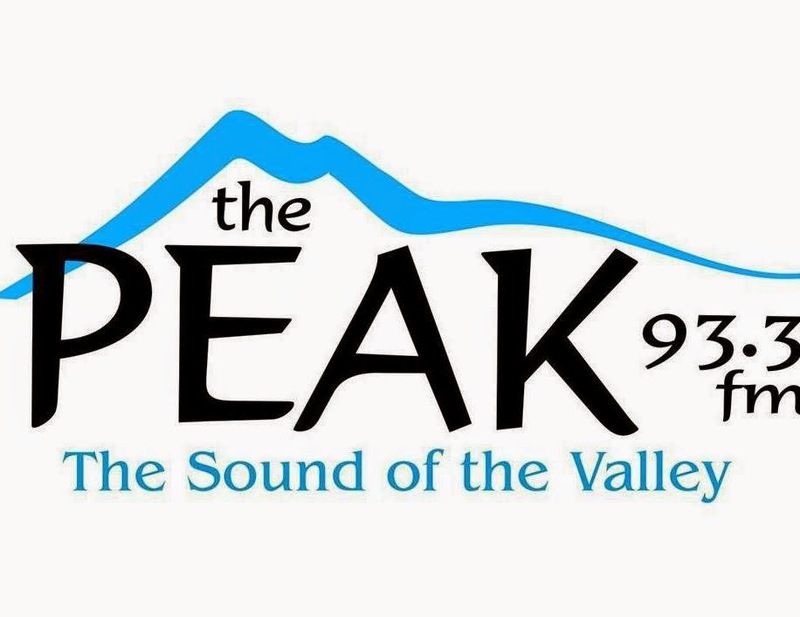 We'll be broadcasting live on 93.3 The Peak FM from 12 noon until 4pm at Pacific Chevrolet if you can't make it. It's something I think you have to see in person to really appreciate it though. 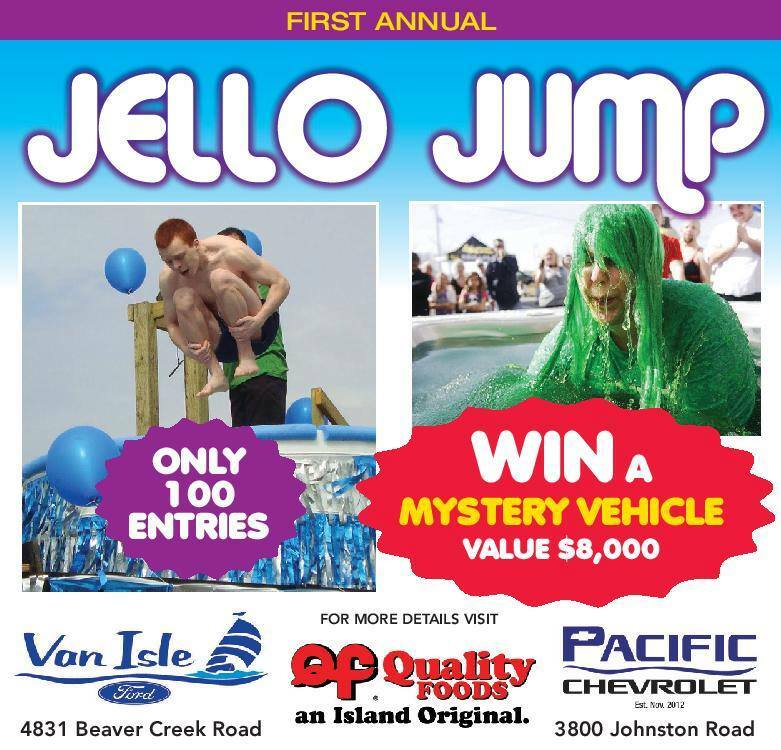 Pacific Chevrolet just announced on Wednesday that they will be awarding a 40" TV as a prize to the jumper with the best costume, so it's sure to be a little crazy. 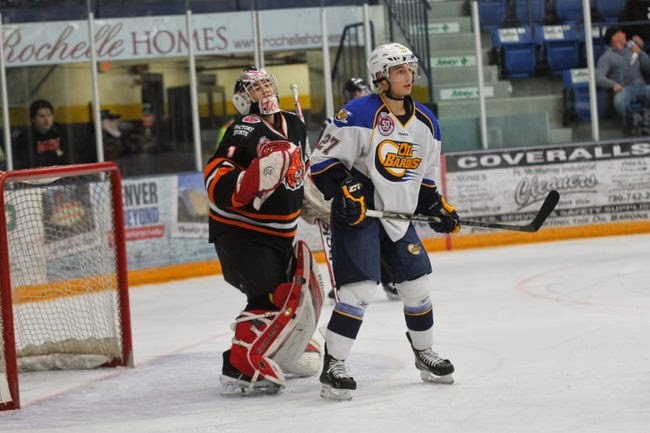 I've been awaiting word for a while now when it came to an addition to the 'Dogs crease, and it finally came today as the team announced they have added 20 year old Chris Tai from the Lloydminster Bobcats of the AJHL. A Southpaw back in my playing days, I haven't been shy in the past about sharing my affection for a goalie who catches right - or "backwards", although lefties are becoming more commonplace nowadays. Tai played last season with the Coquitlam Express, and he played with the Bobcats the previous season, including making 10 playoff appearances. Gotta love a guy with some post season experience. Port Alberni, BC – The Alberni Valley Bulldogs announce that the team has acquired 20- year-old veteran goaltender Chris Tai from the Lloydminster Bobcats (AJHL) for future considerations. Tai is entering his fourth season at the Junior A/WHL level, including 79 games of experience between the WHL, BCHL, and AJHL – 14 of which were in the playoffs. 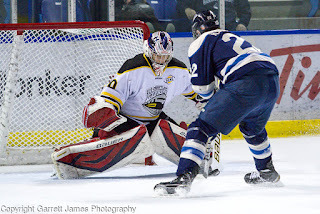 Tai, born in Delta, BC, is a product of the North Delta Minor Hockey Association before he moved on to major midget with the Greater Vancouver Canadians in 2011/12, the same program that produced Bulldogs’ new recruit Jordan Sandhu. over 36 games along with a .899 save percentage. The Bulldogs would like to welcome Chris to the Bulldogs family. 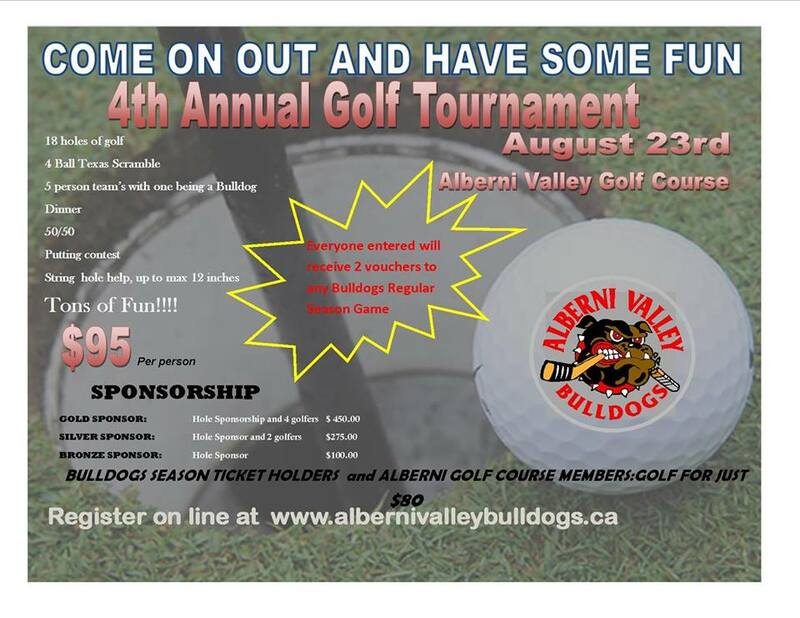 Bulldogs fans’ first chance to meet the newly-acquired goaltender will be at the 4th Annual Alberni Valley Bulldogs Season Kick-off golf tournament on Sunday, August 23rd. Golf, dinner-only, and sponsorship packages are available on the team’s website at www.albernivalleybulldogs.ca. Fans’ first chance to see Tai in action will be on Monday, August 24th when the Alberni Valley Bulldogs hit the ice for the 2015/16 main camp. Dogs add new recruits, Golf tourney upcoming, Jello Jump next Friday! Excuse the lack of blog postings lately! There hasn't been a lot of news to speak of, and I was gone for close to three weeks on holidays! It was great to get back to my roots in Northern Manitoba with the family for some much needed rest and relaxation and memory making. We got in plenty of fishing trips, some rounds of golf, spent lots of time on the lake and even made a couple trips to the Drive In to watch some movies. Yes, they still have a Drive In in Flin Flon! First off - the Bulldogs announced a trio of new recruits for the 2015-2016 season today. Read below. Welcome to the team and community Liam, Nolan and Nathan! Port Alberni, BC – As the Alberni Valley Bulldogs prepare to open the 2015/16 main camp on Monday, August 24th, the team announces three additional players that have been committed to for the coming season. Forward Liam Conrad is from Sackville, NB, and was an all-star forward in 2014/15 with the Moncton Major Midget Flyers. Conrad was the leading scorer in the New Brunswick/PEI Major Midget Hockey League (NBPEIMMHL) registering 52 points (23 goals, 29 assists) in 35 regular season games. Conrad followed that up with 10 points in 10 playoff games. His performance earned Conrad a selection to the NBPEIMMHL 1st All-Star Team and an Esso Scholarship Award. Conrad was also drafted 1st overall in the 2013/14 MHL entry draft. Conrad played three junior A games as an affiliate with the Dieppe Commandos this past season. Also joining Conrad from the Moncton Major Midget Flyers is 1997-born defenseman Nolan Alward. Alward, from Havelock, NB, led all NBPEIMMHL defensemen in scoring in 2014/15 with 34 points (19 goals, 15 assists) in 34 regular season games and added another 15 points in 10 playoff games. Alward was also selected to the NBPEIMMHL 1st All-Star Team and followed that up with being named the league’s MVP and received the Luc Bourdon Award as the league’s Top Defenseman. Also joining the Bulldogs this season is 1997-born defenseman Nathan Walker from Calgary, AB. Walker played the 2014/15 season with the Calgary Buffaloes Midget AAA team. Walker is a physical, stay-at-home defenseman who put up 10 points in 34 regular season games this season. Walker suited up for three games as an affiliate over the last two seasons in the AJHL, with the Calgary Mustangs and Grande Prairie Storm. A select number of Bulldogs players will be in town helping instruct at this summer’s Alberni Valley Bulldogs Summer Hockey School commencing Monday, August 17th. The public’s first chance to meet and interact with the returning Bulldogs and new commits will be on Sunday, August 23rd at the team’s annual season kick-off golf tournament. Here's hoping we'll see you out at the season opening golf tournament. It has been lots of fun the last couple of years. Remember - you don't need to be any good at golf so don't be shy. It's about meeting the guys and having some fun. Last but not least, I'm pretty excited to broadcast live on 93.3 The Peak from the spectacle that's going to be the Pacific Chevrolet and Van Isle Ford Jello jump! SOMEONE will jump into the giant vat of jello and find the key that starts a vehicle worth $8,000. Should be fun! This all goes down at 1pm at Pacific Chevrolet next Friday August 14th.